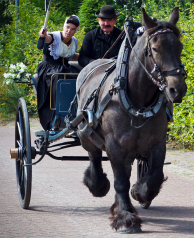 On Tuesday 20th November 2012 the European Parliament is set to vote on the Commission’s proposal for the approval and market surveillance of 2 or 3 wheeled vehicles and quadricycles aka the Type Approval proposal. Prior to the vote, there will also be a joint debate in the European Parliament on Monday 19th November 2012. We have been asked about the procedure that has led to the “final vote” whether this is legal and whether MEPs, not just English speaking MEPs from other member states will be able to vote. The simple answer was yes. Two factors have come from our conversations and correspondence with those involved in the procedure in Brussels: one is that procedurally there is no issue of tyranny or lack of democracy by denying transparency to MEPs regarding their right to vote. The second and most important is that motorcycle organisations and individual motorcyclists have been involved in the debate. “We have given our opinions, reported on the issue and attempted to give space to others’ opinions. However there seems to be a parallel universe that includes what the actual issues are, how we interpret these issues, how others interpret these issues and then how this interpretation is used to advance agendas, positions and even self interest”. This public hearing was attended by various organisations which included input from “experts” such as Mr Pascotto from FIA (Fédération Internationale de l’Automobile). 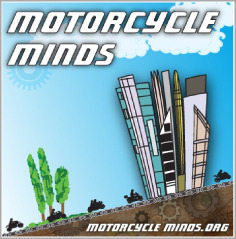 The motorcycling community was also represented by KNMV, the Royal Dutch Motorcyclists Federation. Although FEMA (Federation of European Motorcyclists Associations) did not take part in the public hearing, discussions continued afterwards at the ACEM debate held in the Parliament building where MEPs and the Rapporteur in charge of the report in the IMCO committee Wim van de Camp, discussed the proposal and gave FEMA the opportunity to express the concerns and opinions of its members from around Europe. In fact, we are aware that the rapporteur Wim van de Camp has been in constant communication with both the FIM (Fédération Internationale de Motocyclisme) and FEMA (the Federation of European Motorcyclists Associations). Discussions regarding the various issues in the proposal have been central to the dialogue between Mr van de Camp and these motorcycle organisations which are the representative bodies of motorcyclists in the European Union. There has been what could be best described as dark mysticism thrown up around the Delegated Acts, being dealt with by the Motorcycle Working Group which is coordinated by the Commission. This working group encompasses stakeholders including motorcycle organisations such as FEMA, FIM and ACEM (Motorcycle Industry in Europe) as the representative of manufacturers. Within the group are representatives of governments including the representative of the UK government from the Department for Transport. Thus this democratic representation within the working group will enable stakeholders to give their opinions and to ensure that all sectors of this form of transport are represented in the discussions. Furthermore, Parliament can veto the Commission and any proposed delegated act if it so wishes. The document “AM 148” (outcome of the informal trialogue negotiations) can be found here (which replaces AM1-147 or the committee report). All EU languages are on the right hand side up the top. It may be somewhat confusing but the details are available in all European languages. The text is the outcome of the informal trialogue negotiations, which are conducted between the EP (European Parliament), the Council responsible Member State Permanent Representatives. As for rider’s rights organisations throughout Europe, or rather those European Countries that have rider’s rights organisations and that are members of FEMA, they should have briefings from the FEMA Secretariat. In turn their representatives should have had the opportunity to read the various documents from the FEMA briefings and translate these into their own languages. IMCO voted on final draft text on October 11th, with MEPs split into Groupings and those Grouping been briefed by the Rapporteurs and Shadow Rapporteurs. The IMCO committee acts on behalf of the European Parliament in its negotiations with the EU Commission and the European Council to reach what we have now, a First Reading in a Plenary Vote at the European Parliament. An MEP from Estonia (for example), who may have no interest in the proposal but has a vote (although if he/she wishes, the text in Estonian from the Parliamentary website), relies on the IMCO committee in its agreement to the final text, or his Group voting or party recommendations. For those that are of the opinion that it would be best to throw the whole regulation proposal out, they need to consider the alternative i.e. what would happen without these regulations. French riders would not have the bikes over 100bhp ban lifted. There would be no requirement on manufacturers to publish repair information for individual and private repairers. Manufacturers would not be required to label CO2 emissions and thus preventing governments from reducing or excluding road tax to those PTWs that have low emissions. The process of gradual introduction of cleaner engines through the Euro 4- 5 -6 stages would be binned and the process of durability of these vehicles would have no control. While this may not have a significant affect on the European manufacturers as they have already been developing cleaner and more durable motorcycles, it would mean that cheap, polluting and unsafe imports would be allowed into Europe, because there would not be any regulation to stop them. Some could argue that the A2 Category medium powered bikes would not have to have “anti-tampering” measures, but with a minimum restriction limited to the engine management (because that is all that is required), any so-called anti-tampering measure would in any case be only applicable to the engine management simply because this category of motorcycle can be de-restricted from 35Kw to 70Kw (and vice versa). In other words, there was never any intention to ban modifications of these motorcycles. Simply the intent was to prevent unauthorised people from increasing the kilowatts of the A2 category motorcycle. Although Advanced Brake Systems (Antilock Brakes – (ABS) Combined Braking Systems (CBS) would not be mandatorily introduced on those motorcycles over 125cc (excluding trail bikes and enduros), contrary to the hype circulated, manufacturers have and always have had the option of including a switch and there was nothing in the proposal to ban a switch to turn on or off ABS. However, what would continue is the artificially high price of ABS that manufacturers add on to bikes, limiting choice for those riders wishing to have this option. Automatic Headlights On (AHO) would not be mandatory, but as there has already been voluntary AHO from 2003, it would not make any difference from already being on every bike produced by the major manufacturers. Thank You so much for the constant factual upgrades over the past two years. The fear of change and the uneducated views published on the net have blown this issue out of proportion however your actuate journalism has made it so easy to inform our members on all stages and the process carried out by the IMCO Committee. One thing I am very pleased with is how this issue has united bikers all across Europe and how a minority group in Ireland have achieved so much in the political arena. Tomorrow is such an important day for us all. Bobby Cushen (member of the United Bikers of Ireland). The proposal is being debated in the full Plenary Session of the European Parliament today and scheduled to be voted on tomorrow Tuesday 20th November 2012. However the Plenary Session starts at 5pm European time (4pm UK time) and ends at mid night, the debate is 11th on the order of the agenda, with twelve items on the published agenda. On Tuesday the scheduled votes on the agenda take place from mid-day European time (11am UK time) until 12:30, these do not appear to be scheduled for broadcast. However at 3.30pm European Time (2.30pm UK time) Wim van de CAMP – IMCO rapporteur – Dutch MEP is scheduled to speak on the proposal. An interview with Malcolm Harbour UK MEP and Chairman of the IMCO Committee was held last year on the 22nd November 2011. The committee was in charge of the regulation proposal for the European Parliament. The interview took place the same day that a group of riders protested in Brussels. While the protest was taking place, Right To Ride’s Elaine Hardy met Mr Harbour and a representative of the European Commission to discuss the proposal. “Claims that a new EU law will “suppress” the freedom of motorbike riders is “complete nonsense”, says a senior Conservative. Malcolm Harbour chairs the committee in the European Parliament which has been examining plans for a new EU law to deal with motorbike safety. Some two hundred bikers, mainly from the UK, have been protesting in Brussels. They claim that the plans would stop bikers being able to modify and improve their bikes, ruining their hobby and mode of transport. Thank you for this very useful summary. The results are not all we would have wished for but that is always the case with any negotiation. We have been assisted by the fact that Mr van de Camp is a motorcyclist, and understands the issues. Also by Malcolm Harbour MEP from the UK who has a background in the automotive industry and also understands technical issues. He chairs the committee that deals with this. I can confirm on behalf of the FIM that what is written above about us being consulted in true. What has absolutely not been helpful for those of us sitting there representing riders is this: The completion confusion of this with certain national issues such as the discussions in France about reflective clothing. This has nothing at all to do with the EU. The problem is that many officials have received emails (mainly from UK riders) who are under the false impression that this is the case. Often these are written in very abusive language. This makes the task of trying to get a better deal for riders all the more difficult. The abuse is counter productive, and when it is concerned with things have nothing to so with the issues in hand makes us all look pretty stupid. 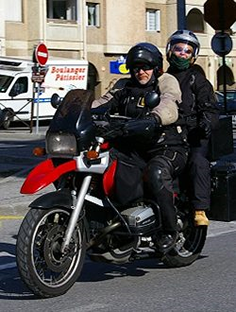 French riders are more than capable of taking on their own government over national issues and if they ever need help from their friends in motorcycling at international level they will ask for that. Finally, although it is not an FIM organisation (it is an active member of FEMA) I also recommend the MAG Ireland internet site as source of accurate information on these complex issues.